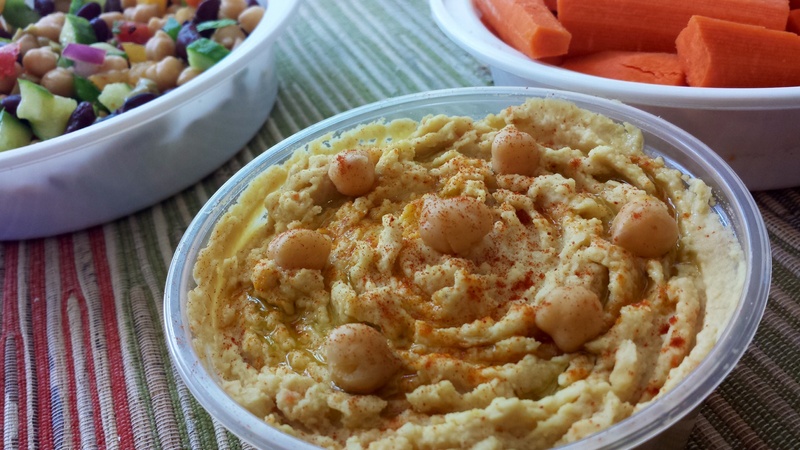 A versatile middle eastern condiment traditionally eaten with Middle eastern breads, Hummus also makes a great low fat healthy dip you can use with baked chips or carrots! Now-a-days it is easily available ready made at supermarkets…but I am a tad suspicious about how much oil these super smooth creamy store bought ones contain! So I prefer to make my own fresh…slightly chunky version at home. It’s super easy and you can play around with creating different flavors like roasted pepper, spinach, jalapeño…they all taste yumm! Soak 1/2 cup chickpeas overnight. Next day pressure cook with salt until soft. 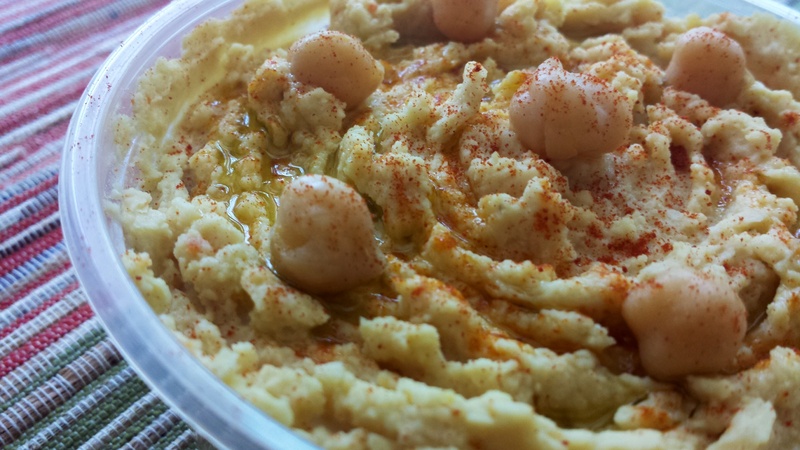 Process the fork tender chickpeas till almost smooth, but still has a slight texture remaining. Mix in a couple of tbsp of tahini and a squeeze of lime. Adjust salt to taste. Pour out onto serving dish, make grooves with a fork, top with a light drizzle of extra virgin olive oil and sprinkle of paprika…Serve with carrots or baked Pita chips!